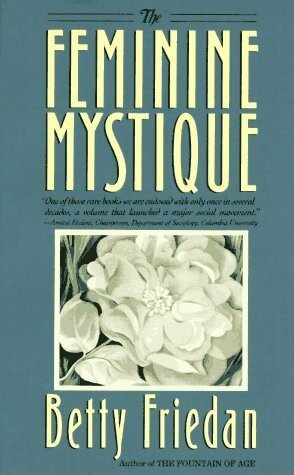 The year is 1973 and upon a shelf in a local bookstore you come across The Feminine Mystique by Betty Friedan. You have just taken your first step into the world of Second Wave Feminism. The 1960s were a turbulent time and here in Spokane. 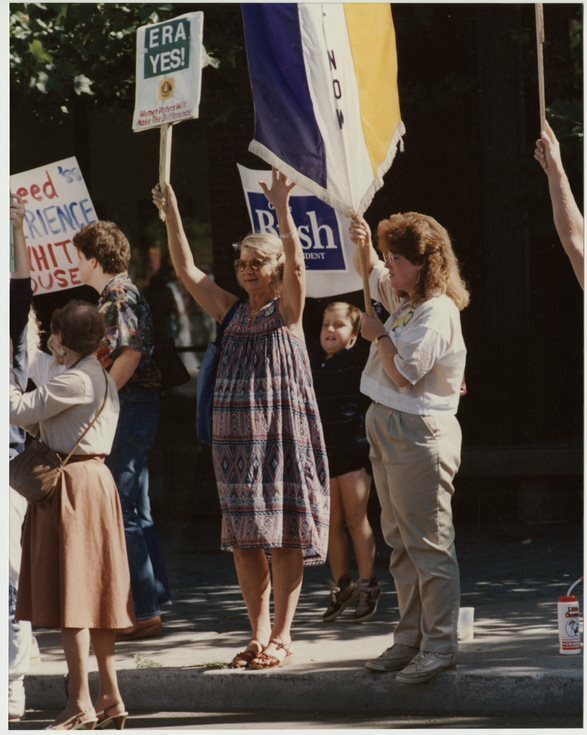 Marion Moos had joined the United Methodist Women (UMW) whose purpose was to “lead the struggle for human rights and social justice.” Through her involvement in the UMW, she became a leading local activist and founded a Spokane chapter of the newly formed National Organization for Women (NOW). Moos and NOW championed what came to be called "second wave" feminism. The first wave of feminists, prominent in the late-19th and early 20th centuries, worked for the right to vote and to own property. 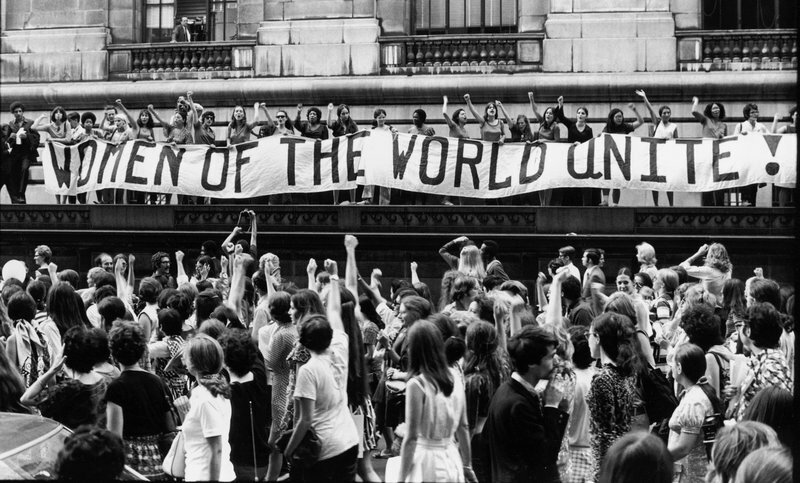 Building on their success, feminists of the 1960s expanded the fight to include reproductive rights, equal pay, and protection from domestic violence. 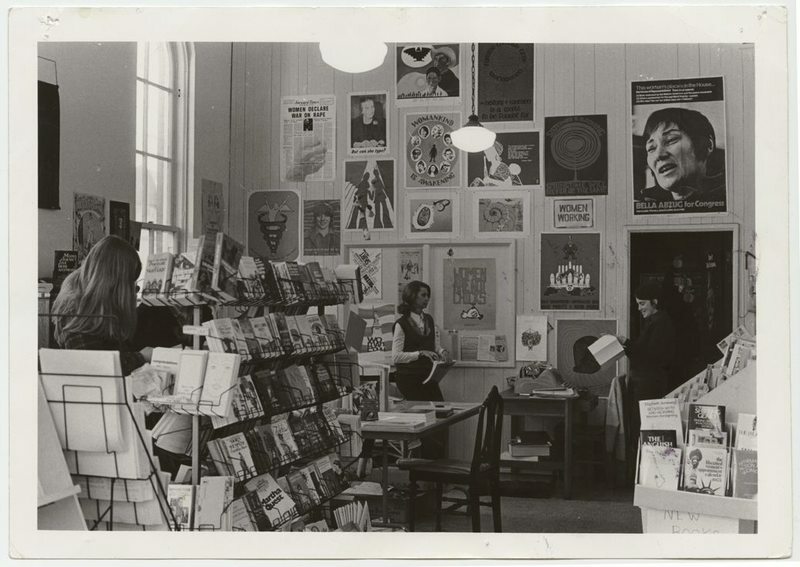 In 1973, Moos opened the Past-Time Feminist Bookstore and Resource Center as her response to the UMW calling for their members to “go home and do something” to advance the empowerment of women. 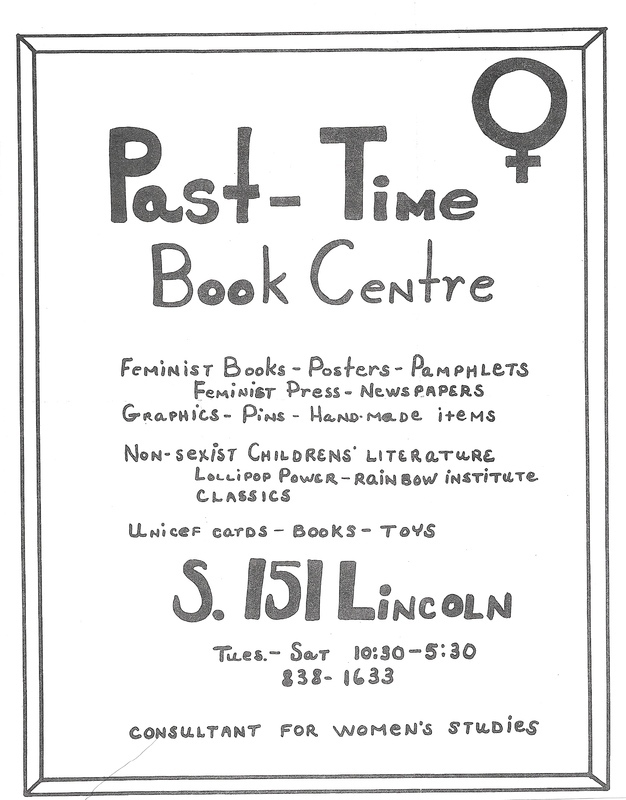 Located on South Lincoln St., the bookstore and resource center provided a safe place for women to ask questions and receive feminist support material. At this time, there were no women’s studies programs or women’s resource centers in Spokane. 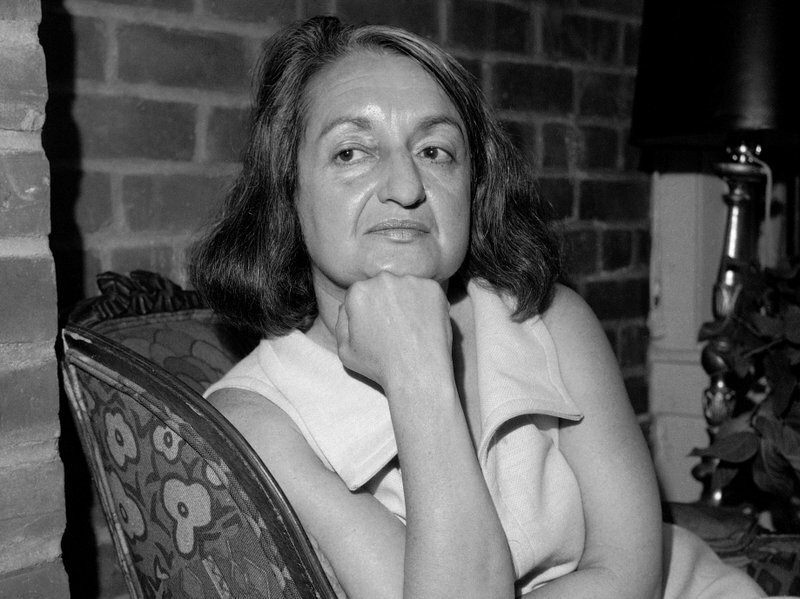 Women were given access to books like The Feminine Mystique, posters, pamphlets, feminist newspapers, and non-sexist children’s literature. “This is Insulting to Women” stickers could be used as political statements by slapping them on sexist materials. Open for only 4 years, the bookstore closed its doors in 1977. 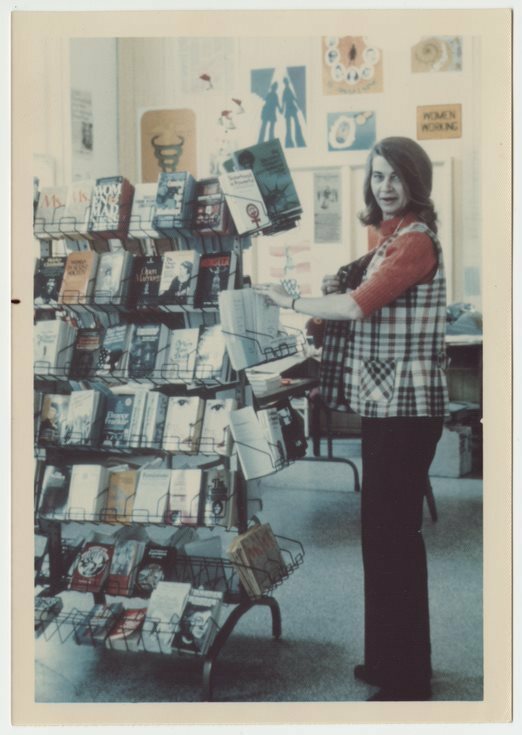 The impact that Moos and her Past-Time Feminist Bookstore and Resource Center made on the lives of Spokane women can still be seen today. As part of the Marion Moos Papers Collection at the Joel E Ferris Research Library & Archives, you can find handwritten letters extending gratitude to Moos and the bookstore on promoting and forwarding the women’s cause. Kendall R. Floyd, “This is Insulting to Women,” Spokane Historical, accessed April 24, 2019, https://spokanehistorical.org/items/show/817.